Storm Warning by Kadi Dillon is a short, but enjoyable story. Tory Fairchild is terrified of storms, most especially tornado’s due to losing both her mother and father to one as a child. Now as an adult, Tory chases these storms. Gabe Wills is a well-known photographer who pays to be with Tory and her group of chasers. Just the fact that Gabe has the money to do for the storm chasers what Tory cannot is enough to set up a dislike right from the start in Toni’s mind. I do recommend this book to anyone wanting a short, quick read with some good romance along the way. I give this a solid ****. I will say, there were editing problems, but that is expected when reading an Advanced Readers Copy, (ARC) and the editing problems have now been resolved. 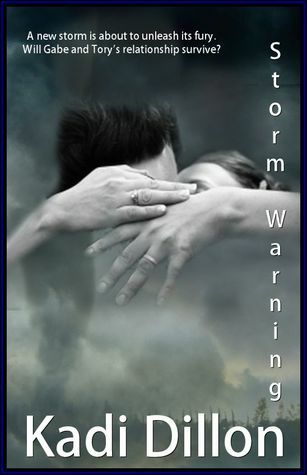 Disclaimer: I received an ARC of Storm Warning to give an honest review of. 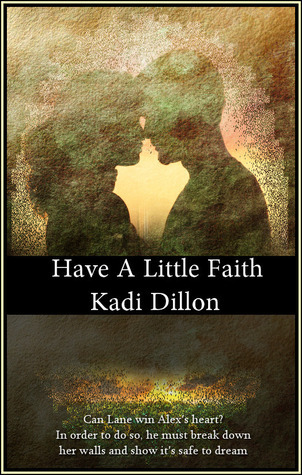 Have a Little Faith by Kadi Dillon is another short and enjoyable read. Alexandra Morgan will do anything necessary to save the ranch she calls home. Lane Tanner will take what he wants, including Alexandra Morgan. When to stubborn and willful personalities collide, the sparks of passion fly. Is it passion for what they each want, or passion of love? Only time will tell. Alex’s father died and left a staggering debt. Her mother, wheelchair bound since the accident that claimed her body and Alex’s three-month old daughter is selling the ranch to Lane to turn into a Dude Ranch. Alex can’t allow that to happen. Faith is all she has…and she won’t lose her a second time, not even to a man used to taking everything he wants. Lane has a lot to prove, to himself and to his father. He has even more to prove to Alexandra Morgan if he wants to claim her as his own. When reason doesn’t work on her, he turns to Alex’s mother with a proposition. The land and Alex’s hand in marriage for a staggering amount of money that will take care of the debt Alex’s father left when he died. Can Lane convenience Alex that it’s more than business? Can Alex ever explain how much Faith means to her and why she can’t leave the ranch? Read Have a Little Faith to discover the answer. This book receives a **** from me, along with a laugh out loud at the ending paragraph. You did well, Ms. Dillon…well indeed. Disclaimer: I received an ARC in exchange for giving an Honest review.